JOHANNESBURG (AP) — While Nelson Mandela is celebrated at the United Nations this week, two prominent South African lawyers say his greatness lay partly in his ordinary qualities and recognition of his mistakes. 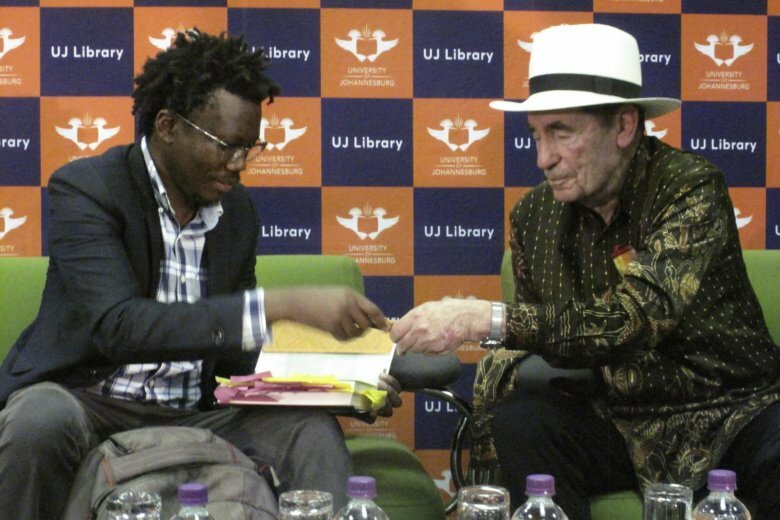 Former judge Albie Sachs and lawyer Tembeka Ngcukaitobi were speaking to students at the University of Johannesburg on Tuesday night, a day after a statue of the anti-apartheid leader was unveiled at the U.N. General Assembly. Sachs recalled how Mandela, as president after the end of apartheid in 1994, pushed in vain for the new constitution to allow South Africans aged 15 to 17 to vote. Mandela referred to himself as proof that “a president can be wrong” when, years later, he lobbied his successor, Thabo Mbeki, to drop AIDS “denialism” and furnish medication to the sick. Mandela, who was imprisoned for 27 years during white minority rule, had wanted to let younger South Africans vote because he thought youth had sacrificed so much in the long fight to end apartheid, according to Sachs. “‘History will show I was right, but I see I’m getting no support,'” Sachs remembers Mandela grumbling. Sachs was a judge on South Africa’s post-apartheid Constitutional Court and played a key role in drafting the 1996 constitution, widely seen as one of the most progressive in the world and a keystone of Mandela’s commitment to a united, multiracial society. South Africa, however, is still struggling to resolve economic inequality. Some in the black majority want a constitutional amendment that they say would make it easier to expropriate land without compensation, thereby addressing grievances over the seizure of land by the white minority that dates to colonial times. One student in the audience suggested that the constitution should be entirely revamped because an amendment would be vulnerable to legal or technical challenges. “If you amend it, a white person will come and say, ‘But no, I have papers for this land,'” the student said. Some in South Africa believe Mandela did not do enough to address injustices in a country where the white minority still holds considerable economic clout. Ngcukaitobi acknowledged those views but described Mandela as “one of the great liberators” in the last century. He also said the things that made the anti-apartheid leader ordinary — poor academic results in law school, a messy personal life, a sometimes arrogant demeanor — made his achievements all the more extraordinary. “It’s precisely when we look at the things that make Mandela normal that we actually realize how much power lies in each and every one of us,” Ngcukaitobi said.